Home » Brand » Rivana LTD » Citronella-Cymbopogon winteriana oil-100% Pure Essential oil. Ingredients: geraniol, tsitronelal, citronellol, methyleugenol, and others. Aroma: warm, strong, spicy, camphor wood with a slight tint. Key Features: invigorating, refreshing, antibacterial, antifungal, disinfecting, deodorizing, neutralizes odors in the rooms. Also helps with Insect, mosquitoes and rats. Effect on the body: If the problem is skin irritation, dermatitis, eczema, fungal skin infections. The oil reduces muscle pain in rheumatism, headache, dizziness, normalize blood pressure. Removes unpleasant smells when sweating Chases away the mosquitoes and other insects, flavor spaces – closets, bathrooms, toilets, refreshment and disinfection of air, neutralizing odors. Impact on the mind and spirit: acting tonic for mental disorders, nervous tension, anxiety, and apathy. Loaded with fresh energy, increases the concentration of attention. Aromatic lamp: refreshing, disinfecting and deodorizing air, insect -5.6 drops citronella oil. Aroma Pendant: deodorizing, antibacterial – 1.2 citronella oil drops. Bath: invigorating, refreshing, relieves muscle pain: 6.8 drops of citronella oil. Sauna: refreshing-10 drops of Citronella oil in 500 ml of water. Massage: tonic, mental fatigue, nervous tension, muscle pain: a 50 ml. base oil / almond, avocado, apricot, grape seed / 25 citronella oil drops. Foot Bath – removes odors, deodorizing drops of citronella oil 5.6-to bath water or foot basin. Ram Spray: Refreshing, deodorizing, disinfecting, removing odors, insect repellent, mosquito. 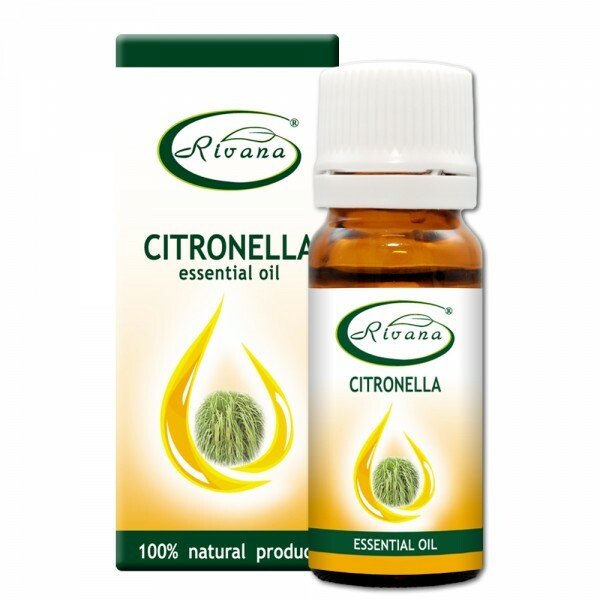 – 15-20 drops citronella oil 250ml. water, shake the bottle and spray the room. Contraindicated for people with individual intolerance for citronella oil. Attention! Highly concentrated! Store tightly sealed in place without direct sunlight. Keep away from children! Note: The information presented on the site has introductory nature. For treatment, consult a doctor or aroma therapist!